EGYPT ROYAL COLLECTION AUTOGRAPH BILESKI 5 DIFF. See scans for condition. United States and International. Egypt 1938 MNH Officials Complete Set Farouk Personal Royal Collection!! Item Condition: as seen on scan. Egypt SG 123/5 1925 Geographic Congress set. Mounted (hinged) mint. (SG Cat - £70). 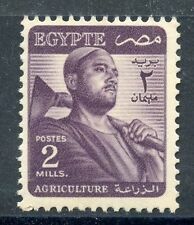 UNITED ARAB REPUBLIC ISSUES FOR EGYPT AND PALESTINE STAMP COLLECTION SCOTT SPECIALTY ALBUM PAGES (12 PAGES). 2 x fine used 1 x light hinged mint. Lots are sent out within approx. All lots are sold as described. [Year 2016 complete year set]. Egypt mix of 39 covers, cards to and from Egypt mostly Used. Fronts and backs shown, condition mixed. Cover in Very Good Condition and a hard to find item. Souvenir Folder with a complete set of 4 values cancelled with an illustrated. Scans show front, contents and back. Envoi en suivi pour la France. YES, WE COMBINE SHIPPING & HANDLING. CUSTOMERS FROM CHINA, INDIA, RUSSIA, UKRAIN & FORMER USSR PLEASE READ THE DESCRIPTION OF THE ITEM. [Year 2015 complete year set]. [Year 2013 complete year set]. Complete UPU Set of 14. All Unmounted Mint except 100m ( Cat £23). Egypt Suez Canal Classic Stamps Mint Sets Blocks 4 8 12 16 Forgeries? Genuine?